What’s New for the 2018 Nissan 370Z? 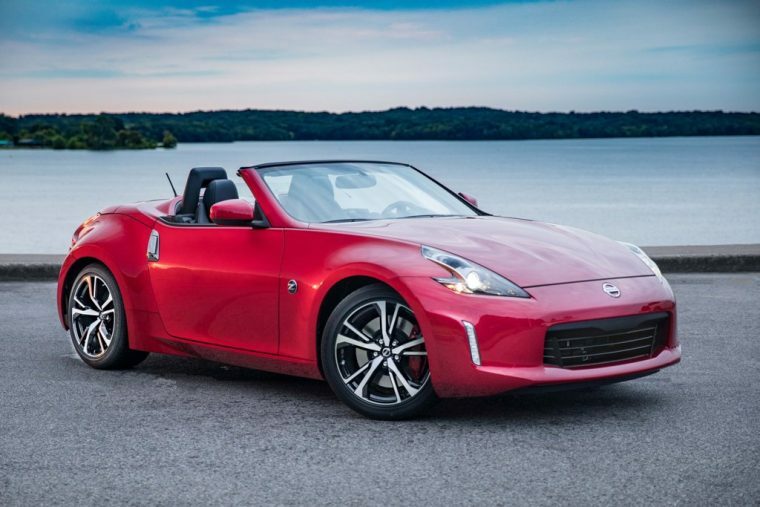 Nissan continues to offer the 370Z in two body types this year: the hard-top Coupe and the convertible Roadster. The 2018 Nissan 370Z Coupe is offered in six trim levels: 370Z, Heritage Edition, Sport, Sport Tech, Touring, and NISMO Tech. Meanwhile, the 2018 Nissan 370Z Roadster is offered in three trim levels: 370Z, 370Z Touring, and 370Z Touring Sport. 2018 brings a number of changes to the 370Z , both in appearance tweaks and added features. The base price remains the same, but all versions of the 370Z receive a black rear bumper diffuser, plus darkened headlight clusters and taillights. A Passion Red body paint is also available. The Coupe version adds a Sport trim that boasts many enviable features, like 19-inch RAYS alloy wheels, a BOSE sound system, front and rear spoilers, a limited-slip differential, and heated outside mirrors. The Heritage Edition is also a new option for the Coupe, honoring 50 years of Z models. 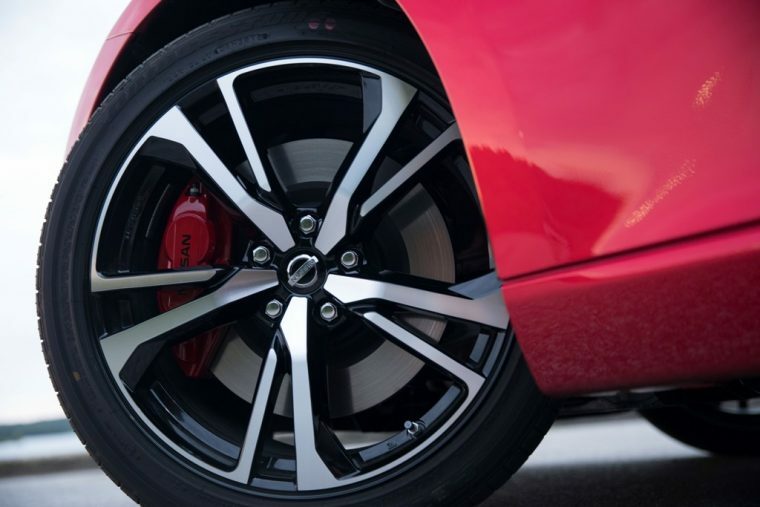 The NISMO Tech trim gets a NISMO-tuned engine that adds extra horsepower, Dunlop high-performance tires, EXEDY clutch, and better aerodynamics. 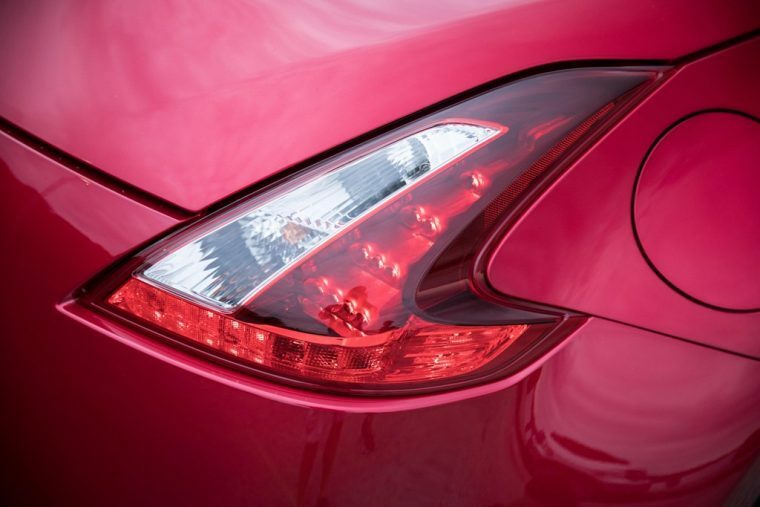 The exterior of the 370Z has many design traits that make it stand out, from its arrowhead headlamps to its vertical door handles. Its raised rear end and wide grille give the sports car an appearance that’s eager for racing. Buyers can further accessorize their 370Z with add-ons like a rear decklid spoiler, illuminated kick plates, and a NISMO Cat-Back exhaust system. Exterior paints for the 2018 370Z are bold and bodacious, ranging from the hot new Passion Red to the cool Gun Metallic to the classically hued Chicane Yellow. The standard engine on both the Coupe and the Roadster 370Z is a 3.7-liter DOHC 24-valve V6 aluminum-alloy unit that’s paired to a seven-speed paddle-shift automatic transmission (or an available six-speed manual, if that’s what you’d prefer). This feisty block has a maximum speed of 7,500 RPM and a 0-to-60-mph-time of just over 5 seconds. It’s as powerful as it is fast, bearing 332 horsepower and 270 lb-ft of torque. 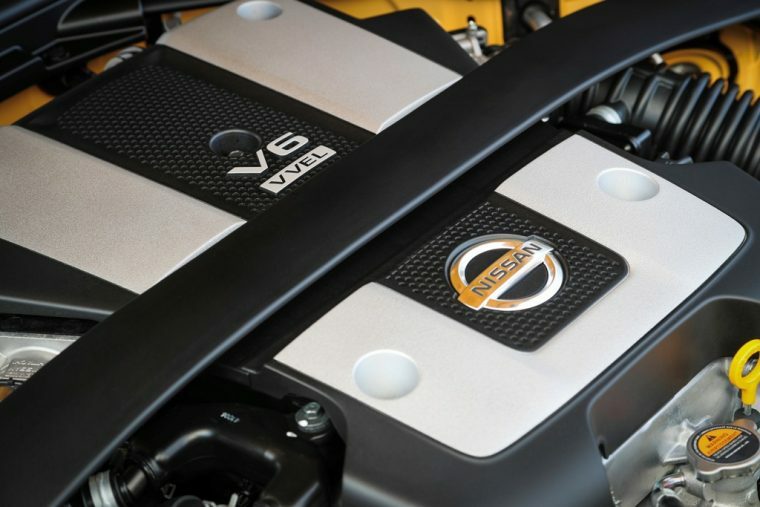 The NISMO-tuned version of the V6 gets slightly better performance at 350 horsepower and 276 lb-ft of torque. For being an impressively boisterous and break-neck machine, the Nissan 370Z manages to maintain moderate fuel efficiency rates. According to EPA estimates, the Coupe version averages 18 mpg city driving and 26 mpg highway driving, while the Roadster gets 25 mpg on the highway. Thanks to the car’s 19-gallon fuel tank, you can do a lot of driving on the track or highway without having to stop for refills. This two-seater isn’t for transporting your kids. In fact, your kids probably couldn’t even handle riding in this ferocious vehicle. 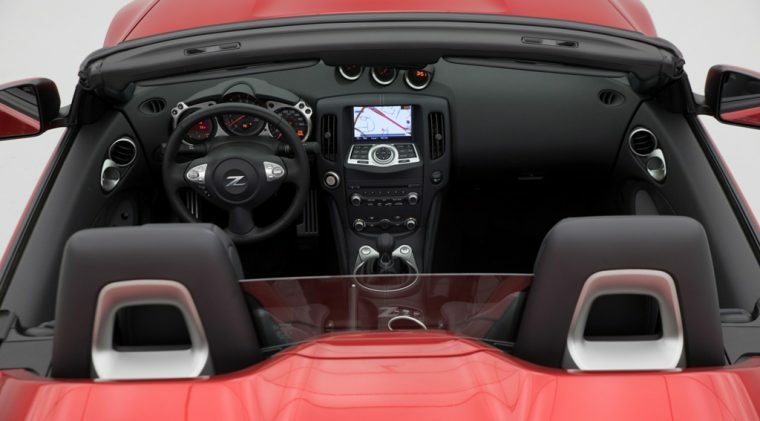 The walls of the 370Z tightly barricade you in its cabin and present you with the controls to operate the rambunctious mechanical beast. Sleek interior touches like leather upholstery and track-style displays will make you feel like you’re piloting a vehicle from the future. 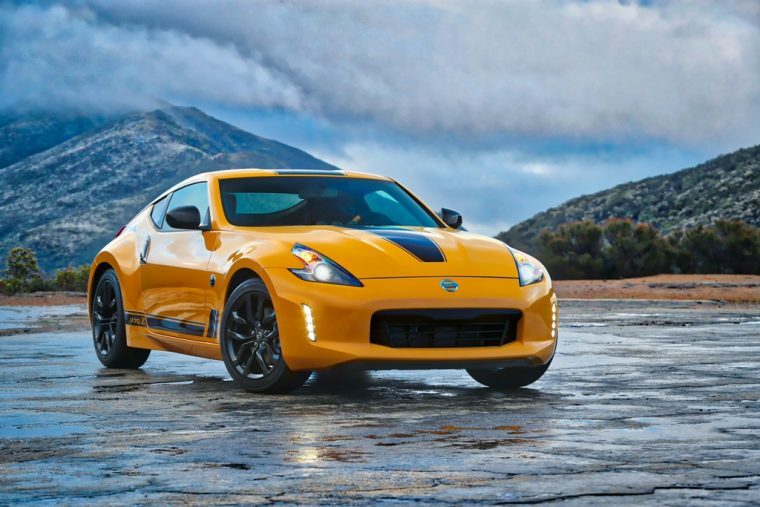 The 370Z has not been evaluated for crash results in many years, as the sports car is not one of the brand’s high-volume sellers and thus hasn’t received a full safety evaluation in quite some time. In spite of this, the 370Z has had few complaints made against it and still has a reputation for being reliable thanks to protective body engineering and driving features.